Crafted in your choice of polished 14K white or yellow gold, this ring features a contemporary face design! 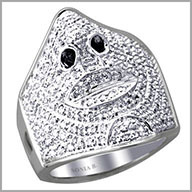 It features a total of 143 full round cut diamonds in pave settings. 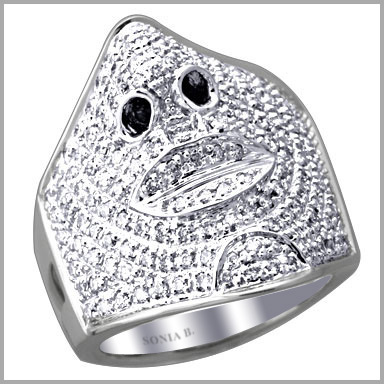 This chic design is truly unique and offers any style a distinct look sure to set you apart.The total diamond weight is approximately 1.0010ct with a color of G-H and a clarity of SI. The setting size is 7/8" x 13/16" with a height of 5/16". It also has an undergallery for added beauty and comfort.